The Videolarm IRM7TF is an industrial grade enclosure that can be used to house a professional CCTV camera up to 7" in length. Its rugged construction makes it the perfect solution for installation in areas where vandalism is a concern. 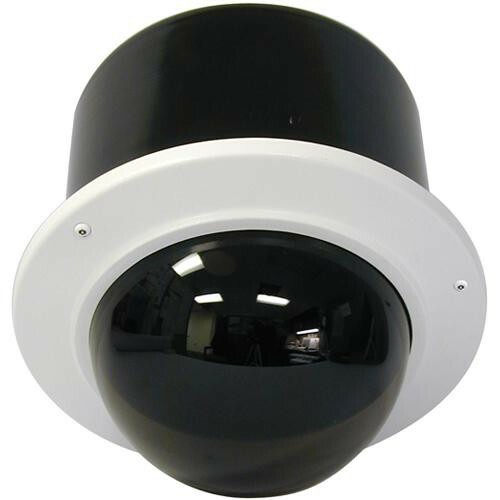 With its rugged aluminum top and polycarbonate bubble, this dome can be installed in areas where vandalism is a concern. This model is designed to install recessed inside a hard or drop ceiling. Once installed, only the lower dome with its decorative trim ring will remain visible. As such, this model is a grand idea for security environments needing a camera that can provide a high degree of security and at the same time maintain a modicum of discreetness.